Please join us for lunch on Tuesday, April 30, from 11:30 a.m.—1:00 p.m. 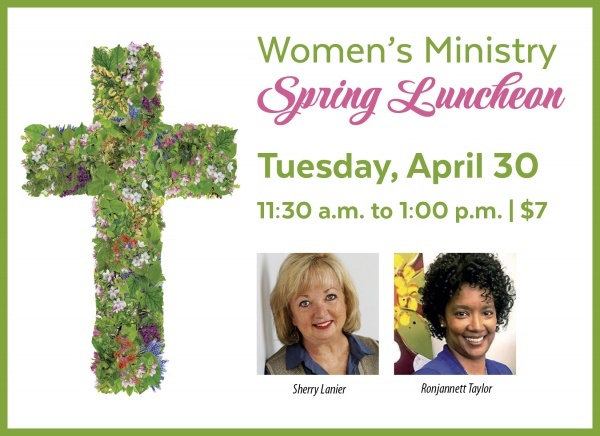 Guest speakers Sherry Lanier and Ronjannett Taylor will present “A Shared Journey,” touching on our oneness in Christ and how the Gospel can move us beyond comfort zones to a place of unity, honesty, and edification. Please email Sandy Martin at smartin [at] ipcmemphis [dot] org for reservations, and indicate whether you will need nursery care for your child. Lunch is $7.